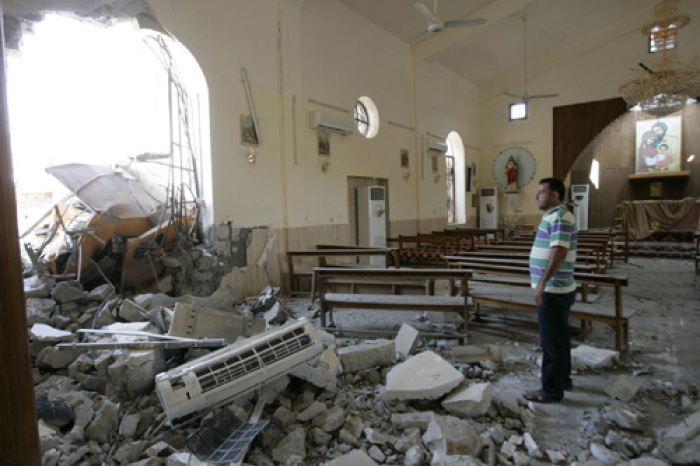 Christians in the Middle East are at risk of “imminent extinction” due to the continued “threat of violence, murder, intimidation, prejudice and poverty,” the archbishop of Canterbury has warned. "In the last few years, they have been slaughtered by so-called Islamic State, and in many countries they find themselves squeezed between the upper and lower millstones of pressure on them within society and of conflicts that afflict the region. In countries like Israel, where Christians are secure in physical terms, tensions nevertheless “makes life difficult for them,” he added. “We must support and help them in every way we can," he underscored. "Where they wish to leave, they will be refugees in need of asylum. Where, courageously and by the grace of God, they choose to remain, they need publicity and external, visible support." Welby said the prince of Wales will play a “leading role” in the Dec. 4 event: "We will celebrate and pray for Christians in the region, we will raise their profile and we will publicize their plight," he said. In his 2017 Christmas address, Charles urged prayers for those "forced to leave their homes in the face of the most brutal persecution on account of their faith" and called on believers in the West to pray and support those facing attacks in the Middle East. "Indeed, as all of you know only too well, the Christmas story itself ends with the Holy Family fleeing for refuge from persecution; just as in 2017 large numbers of Christians, such as the families that I had the particular pleasure of meeting before this service, are being forced to leave their homes in the face of the most brutal persecution on account of their faith," Charles said in a service at St. Barnabas Church, Pimlico. Referencing his and other Christians' belief that "Christ has come, and that He is present in the world today," Prince Charles urged Christians to pray and "commit to doing what each of us can to help ensure that those who are suffering have a brighter year ahead than the one that has passed. "It is so vitally important, in this season of Advent and throughout the year, that Christians in this country and elsewhere, who enjoy the rights of freedom of worship and freedom of expression, do not take those rights for granted; and that we remember, and do what we can to support, our fellow Christians for whom the denial of such rights has had such profound and painful consequences." According to estimates, under 200,000 Christians remain in Iraq when there were over 1.4 million Christians in Iraq in 2002 and 500,000 Christians in Iraq in 2013.